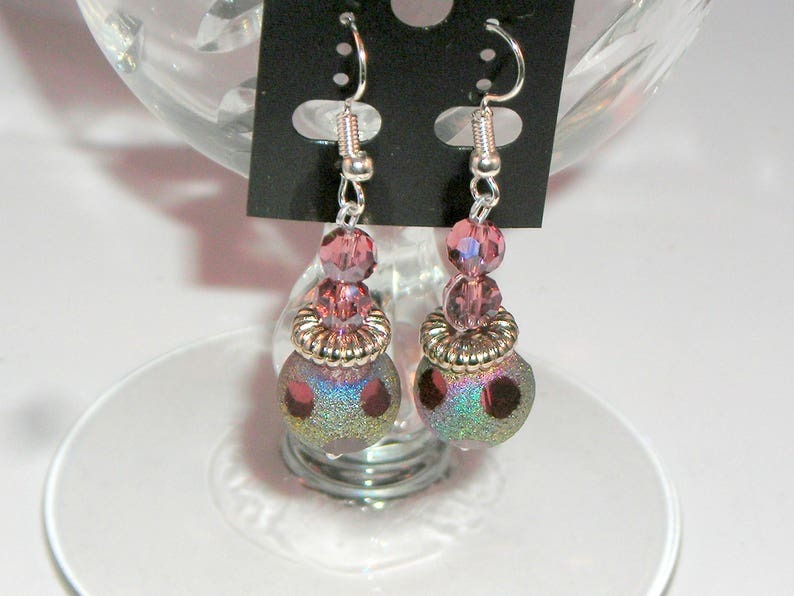 SOPHISTICATED - Wire Wrapped Dangle Earrings, Purple beads & Crystals, Natural Silver Aluminum Wire, 1 3/4"
I Ship USPS and if your a Florida resident I have to charge 6% sales tax. Do you have any jewelry dislikes? I stay away from look alike jewelry and jewelry machine made. I prefer the more sophisticated look of combining unique pieces to create a one of a kind style. 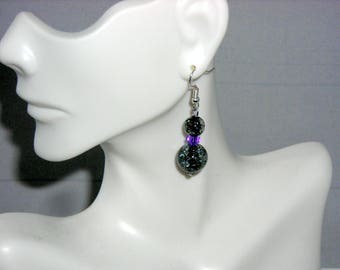 BOLD 1 - Smokey Crackle with Purple Crystal Wire Wrapped Dangle Drop Earrings. 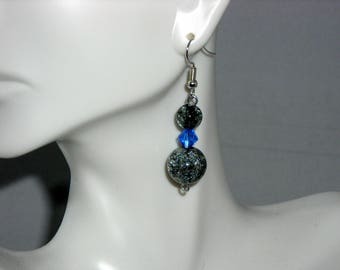 Earrings that make a statement! Natural Silver Aluminum Wire! 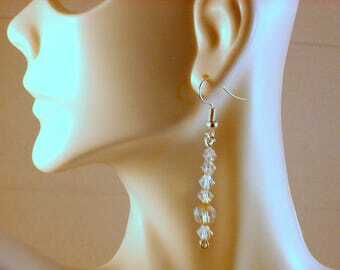 Handmade Artisian Silver Curved Dangle Earrings 2" Silver Craft Wire, Wire Wrapped!